Security of information is a hot topic nowadays as we see even governments cannot prevent vital and secret information from being made public by individuals who feel the public has a right to know. More threatening for the individual is that confidential information may fall into the wrong hands and they may suffer at the hands of scoundrels and criminals. While this article was being finalized, Google introduced an additional major way they distribute information about you. Keep reading to the end to see just how significant this is. Having a single point of entry to all your Google activities could represent a potential weak point but Google does provide some advice on how you can keep your account secure. The tips include being extremely security-minded about your password and enrolling in 2-step verification, which adds an extra layer of security to your account. 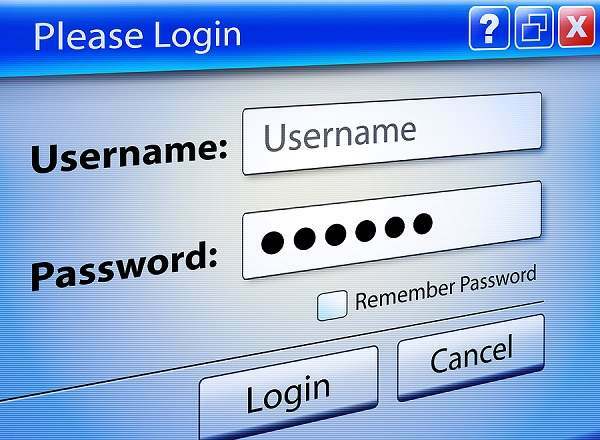 This requires you to sign in with something you know (your password) and something you have (a code sent to your phone). The main way Google helps is by warning you of the important steps that you should take to preserve the security of your information. In their Good To Know advice they tell you how you can stay safe and be secure online. They also encourage you to keep checking what is appearing on the Internet about you with their Me on the Web process. With Me on the Web, you can get notified when your personal data appears on the web. You can use Me on the Web to alert you when your personal information – say, your email address or phone number – gets published online. If you have been reading carefully up to this point, you may have noticed that Google is mostly talking about how you can avoid security breaches created by others who may not have your best interests at heart. However Google itself holds a great deal of your information. What might Google do that could breach your security of information. This is not a question to be lightly brushed aside. Google does provide a Security And Privacy Overview. In that they state their commitment to respect the privacy of the information users place in their systems by not giving that information to others nor using it inappropriately. Since Google will define what is inappropriate, it sounds as though there might be loopholes there. In talks in Europe, Google’s executive chairman, Eric Schmidt, said that he ‘respects’ but disagrees with privacy complaints in Europe. “We have to be respectful of people’s privacy. And if we were to be disrespectful of their privacy, they’d go somewhere else or they wouldn’t use us.” This is all from someone who says government spying is ‘the nature of our society’. He calls for greater transparency but declines to ‘pass judgment’ on spying operations. Clearly many still have questions on how Google might decide what is inappropriate. That could also differ for information you gave Google and information they found out about you. Many put a great deal of their private information on Google Drive and its Security would be of paramount concern. Google’s answer here seems clear-cut and absolute. Using Google Drive is a great way to store your files safely in secure data centers, where your files won’t go missing. Even if your computer, phone or tablet break, the files you store in Google Drive are safe. One way that Google gets information about you is by the searches you do on Google. Here Google recently made one of the biggest changes in search privacy ever, by routing all searches through its Google Secure Search service. However there were some Questions Google Refused To Answer About Search Privacy. Google, while demanding more transparency from the US government over privacy issues, prefers to not be transparent about its own moves. One possible justification is that this may help Google as it promotes its advertising services to give businesses greater visibility. Another source of information is their surveillance of your Internet surfing, what you look at, what you like or what you share with others. If you are logged in to your Google account, then Google knows in great detail where you are and what you are doing. Even for those who are not logged in to a Google account, Google can pick up a good deal of information. In some cases, this involves placing cookies on visitors’ computers. Even that may not be necessary in the future since Google may be working on other approaches to replace the Tracking Cookie. Google undoubtedly uses information on your online behaviour to give you a better online experience but at the same time to try to optimize how advertisers can get their messages before your eyes. Here is where the Breaking News comes in. Google is introducing Shared Endorsement Ads. Welcome to a world where perhaps your mother will try to sell you toilet rolls. As Google wrote in a post announcing the change, “We want to give you – and your friends and connections – the most useful information.” Your friends, family and others may see your Profile name and photo, and content like the reviews you share or the ads you +1’d. This policy will swing into place on November 11, 2013. If this is not to your liking then you can opt-out of the service through a “Shared Endorsements” setting on Google+. From online discussions, it would appear that many are automatically opted in by default and will need to turn off this default choice to avoid being included. (Please do not) share personal or confidential information. We don’t allow unauthorized publishing of people’s private and confidential information, such as credit card numbers, Social Security numbers, driver’s and other license numbers, or any other information that is not publicly accessible. Keep in mind that in most cases, information that is already available elsewhere on the Internet or in public records is not considered to be private or confidential under our policies. In summary, although Google may not reveal personal information known only to them, if it already appears elsewhere on the Internet, then Google will take that as confirmation that they too can publish it. In other words, the security of your personal information is up to you and is entirely in your own hands. Does Your Website Load Fast In Mobile Devices?